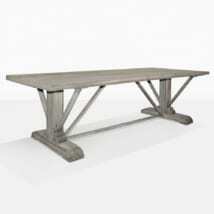 Antique in style, regal in nature; augment your dining experience with the Kingsley Reclaimed Teak Bench. 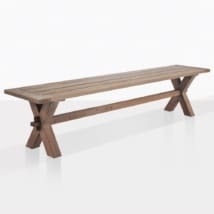 Whether using the Kingsley Reclaimed Teak Bench for dining with the Kingsley Table or placing it on its own as a statement piece; the Kingsley Bench is a fantastic choice adding a little bit of glamour to proceedings! 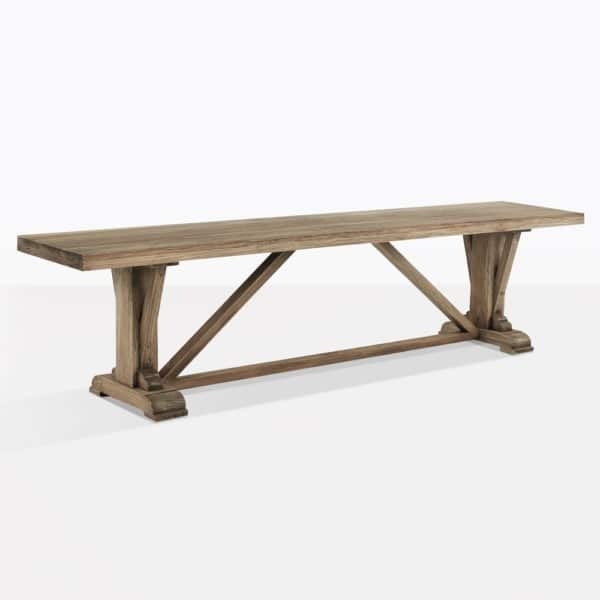 Our Kingsley Collection is modeled off of medieval furniture; solid, substantial pieces of wood with intricate detailing and Reclaimed Teak to give it a rustic twist! 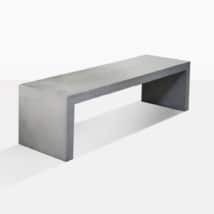 The Kingsley Bench has two pedestal feet with the signature Kingsley cross bars, making this bench durable and visually pleasing. 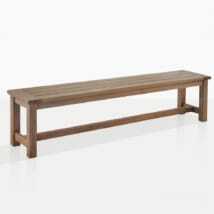 Crafted from reclaimed teak this bench has a classic and country living feel. Imagine it in your garden surrounded by green grass and growing plants or place it in your foyer to make your home inviting. 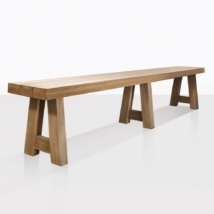 Create a graceful dining setting with the Kingsley dining table and the Kingsley Reclaimed Teak Bench.